Students will need to bring a sack lunch, 2 snacks, a water bottle and close toed shoes each day of camp. Students will need to bring a jacket, sack lunch, 2 snacks, a water bottle and close toed shoes each day of camp. When school’s out, the Y is there to keep kids safe and engaged in fun, healthy activities to let working moms and dads rest easy. The Y in-service day camps are geared to engaging kids in healthy physical activity and fostering positive social interactions. Each program offers the highest quality instruction and supervision, provided by trained and qualified staff members. At the YMCA Day and School Holiday camps, kids engage in physical, learning and imaginative activities that encourage them to explore who they are and what they can achieve. 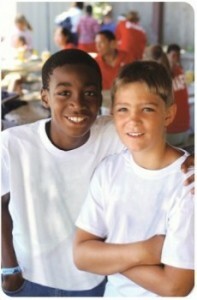 In addition to supplementing what they have learned in school, they participate in interactive learning models that engage critical thinking skills, get assistance with their homework from trained YMCA staff, have a chance to socialize with each other and form long-lasting friendships that enhance their development, growth and self-confidence. Children are required to bring their own lunch and a morning and afternoon snack. Camps are available for working parents with kids on break from school. This includes Thanksgiving, Christmas, Spring Break, in-service and after school. At our camps, kids have the opportunity to make friends, have fun, get active and discover who they are and what they can achieve. Call or visit any of our Y branches to sign up in person.